The YUMMIEST S’more Ideas for Campfires, Ovens and at Home! 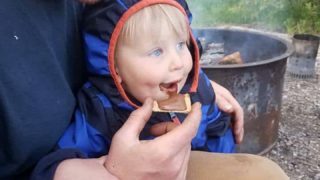 These easy S’more ideas for around the campfire are game changing, but you can also make awesome s’mores at home! 3. 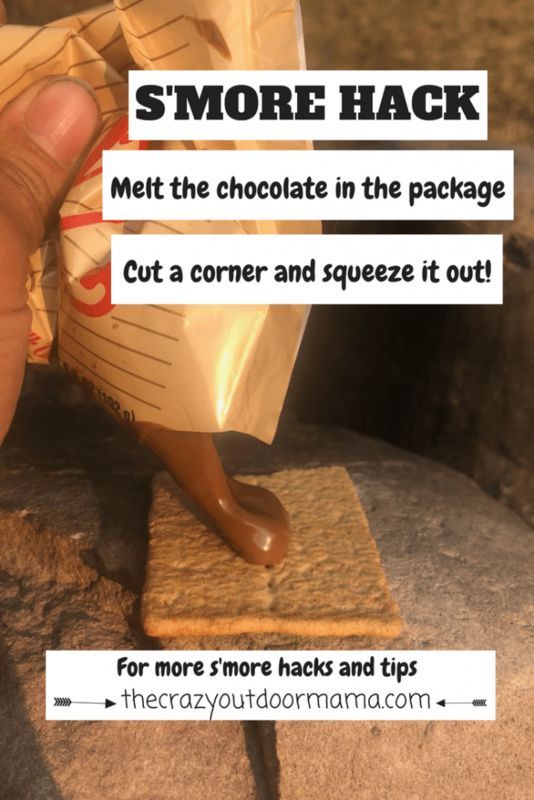 Get smooth melted chocolate with these 2 s’more hacks! Pre-melt your chocolate in the package and use it like an icing tube! P.S. Curious how to make a s’more without a fire? Make s’mores in the oven! Make S’mores in the Microwave! Want to make a s’more with no oven, microwave or fire? Want to up your s’more game? Get gourmet s’mores with some extra fancy items! Now that you know all about s’mores, go out and make some! 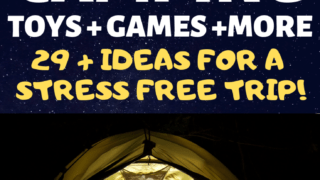 Here are some other camping ideas you may like! 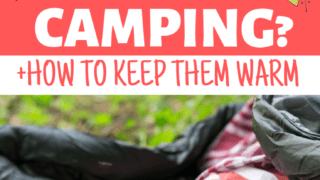 The Ultimate Guide to Camping with Toddlers - From Planning Your Camp Trip to Packing Up! 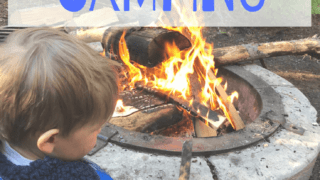 13 Best Camping Books for Toddlers that Will Get Them Excited for that Camp Trip! 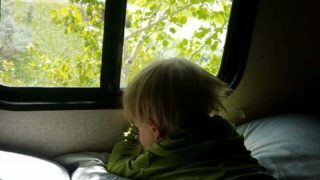 RV Camping with Toddlers - How to get some sleep! The YUMMIEST S'more Ideas for Campfires, Ovens and at Home! 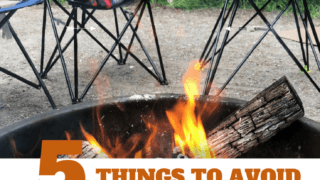 5 Things to Avoid for a FUN Kid Friendly Campground! 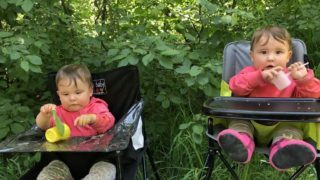 15 Proven Tips to Go Camping with Your Newborn... and LOVE It! 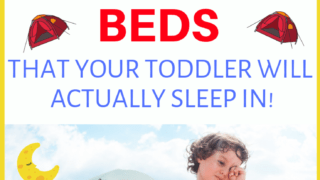 The Only 3 Toddler Camping Beds Worth Your Money! Everyone knows that the perfect s’more is icing on the campfire cake! 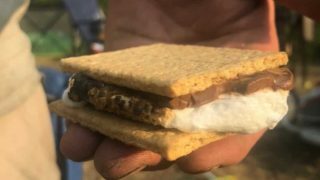 If you’re like me though and didn’t grow up camping, then you might not know how to make the perfect s’more. From burning the marshmallow to being confused as to why your darn chocolate wouldn’t melt, there’s a couple of things you just don’t know how to do right without some trial and error. 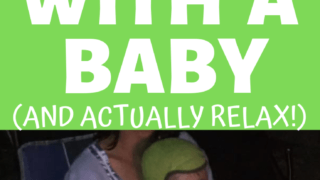 BUT, by the end of this guide, all of your friends (and kids if you have them!) will be begging you to make more! 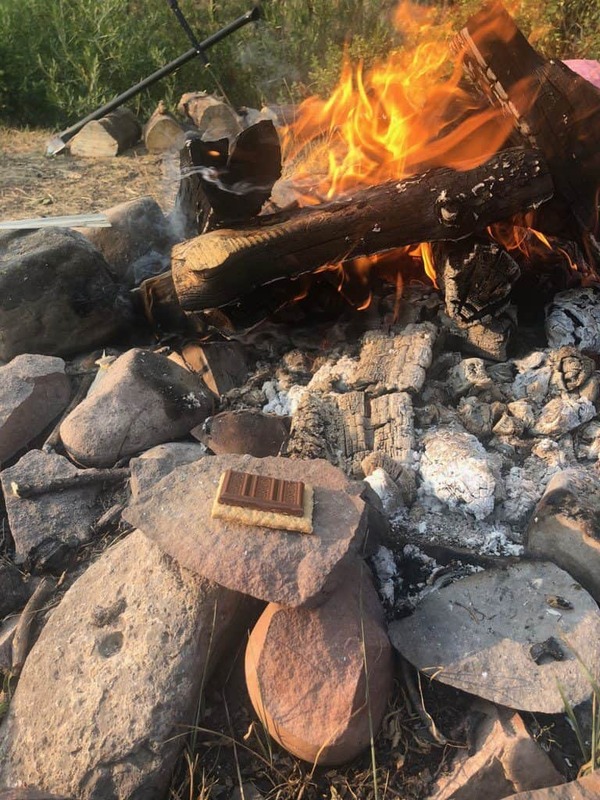 We actually met someone once who had no idea what the “American S’more” really was – turns out in Britain, they don’t do s’mores when camping! 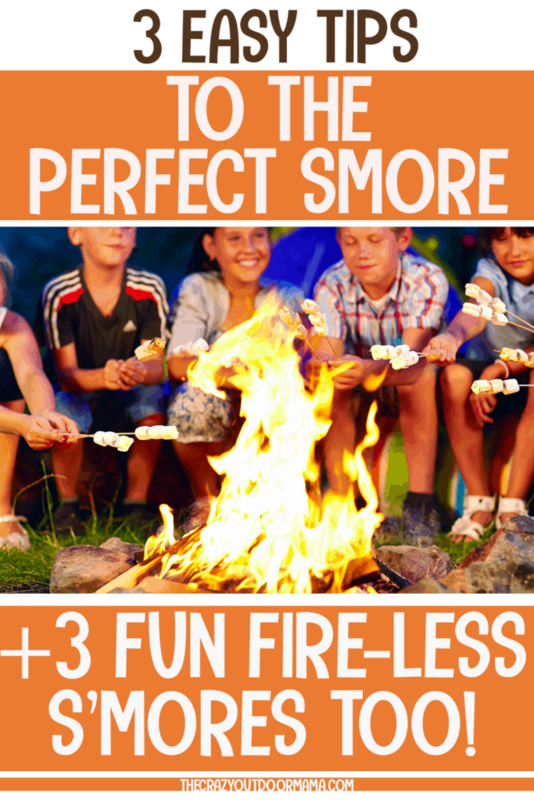 With these s’more tips, you’ll be on your way to amazing camping memories! Hershey’s Milk Chocolate Bar – You can break off pieces into perfect s’more sizes, and they just taste good! If you wanted to go gourmet, you could buy their EXTRA creamy version here! Kraft Jet-Puffed Marshmallows – These are what are used in almost all s’more recipes, and for good reason – they are tasty! Honeymaid Graham Crackers – Honeymaid is the pretty standard graham cracker used for s’mores. Just make sure to get the cinnamon! Milkless Vegan Chocolate Bars – For those with a dairy allergy or vegan diet, these are perfect for you! I won’t tell you they taste as good as a Hershey’s, but they are healthy replacement if you just gotta have a s’more but can’t eat dairy! These Vegan, Corn Syrup Free Marshmallows – These meet the dietary needs of those looking for pork free, or ‘halal’ mushrooms. Even if you don’t need that, it’s nice they don’t have corn syrup! Gluten Free Organic Graham Crackers – There are no artificial flavors or corn syrup in these, and they are perfect for those with a gluten free diet! Other healthy s’more ideas can be found here if you’re interested! 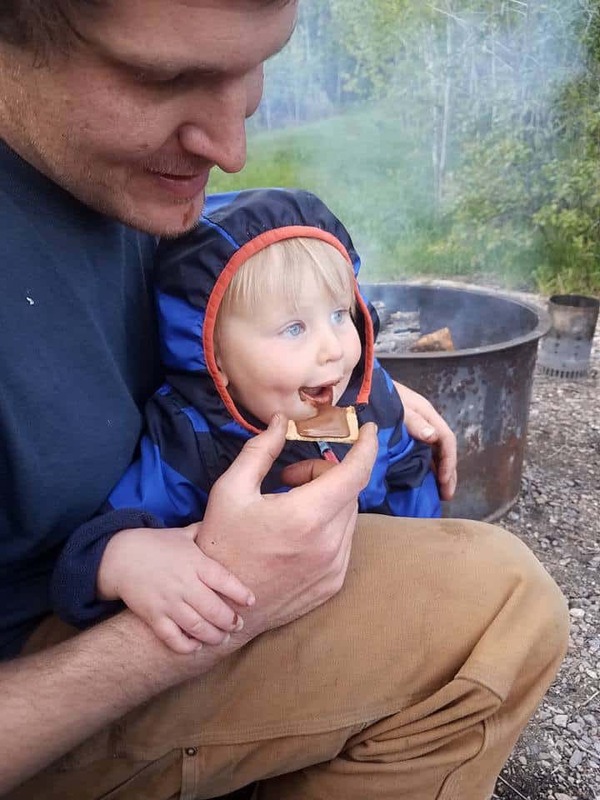 My son trying a s’more on one of his first camping trips. 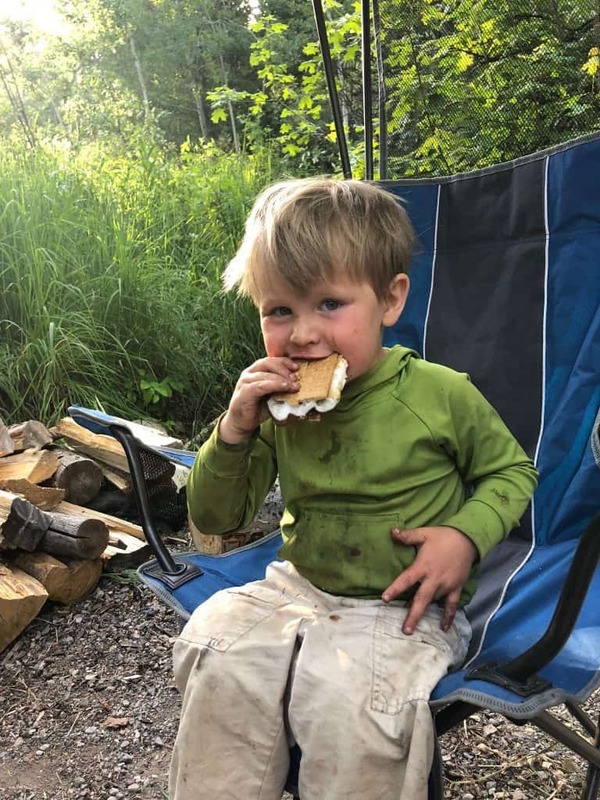 We kept it simple to start with, but he does enjoy a full on s’more with marshmallows now! OK, I know – they DO sell marshmallow sticks at the store. They even sell doubles to cook lots at a time. But there’s just something to be said about finding your own stick and cooking your marshmallow the old fashioned way! Cut down a live stick! – While a dead one will work for a couple, a live one is moist and won’t char or burn after multiple roastings. 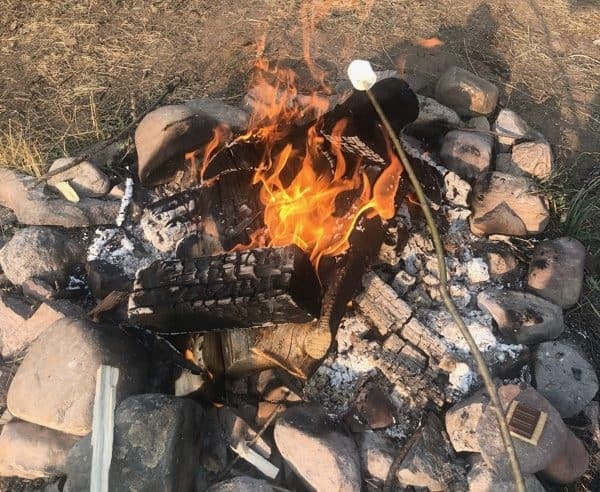 Don’t give blunt force trauma to your marshmallow – Before camping with my husband, I would just jam a stick I found on the ground into my marshmallow… don’t do it! Have some camping pride and sharpen your stick with a knife. This will make it easier to remove from the marshmallow, both because the stick is smoother and because it is tapered! I’m super lazy and just let it sit there until it burns, then blow off the blackened side. Unsurprisingly, this isn’t the best choice! Constantly rotate our marshmallow a good distance above the flames – Imagine your marshmallow is a rotisserie chicken! Constant movement prevents it from burning and creates that perfect even brown appearance and slight crunch on the outside. Your marshmallow is done when it’s brown and starts to puff – Make sure to have your chocolate ready on your graham cracker! It’s way easier to cook s’mores over a smaller fire than a crazy rippin’ one! You’re probably wondering why I haven’t mentioned chocolate yet – that’s because we have two little tricks to get that perfect melt! The first one my husband showed me! I always assumed that the marshmallow would be hot enough to melt the chocolate -wrong! 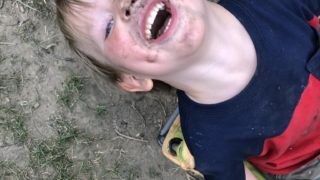 It barely did, and I always wondered what the hype was about, and how I always saw messy chocolate faces after eating s’mores. How did all that chocolate get all over the people in the pictures when the thing was barely lukewarm? By the time your s’more is done, your graham cracker will be warm, and your chocolate right on the edge of becoming liquidy. When you put your marshmallow on top, that extra added heat then finished melting it and creates amazing gooey goodness! Are you ready for the second s’more hack? This is a perfect way to heat your chocolate slowly while cooking your s’more! This was super by accident! We left our Hershey’s symphony bar in the car all day, and when we were ready for s’mores by night, it was completely liquid in the package. I was pretty upset, but we had a very anxious 3 year old waiting for his s’more, so we pushed forward and made it work! Since it was impossible to scoop out of the package, the easiest and cleanest way to get it out ended up being to cut a corner and squeeze it out! The chocolate gooeyness really made the s’more awesome, and it was so much easier to prepare than normal! 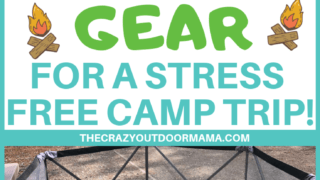 You might get the urge to s’more even if you’re not camping! After all, s’more does stand for “some more”! If you’re not at camp, or perhaps can’t have a campfire, there are two ways to make s’mores that are still super fun! 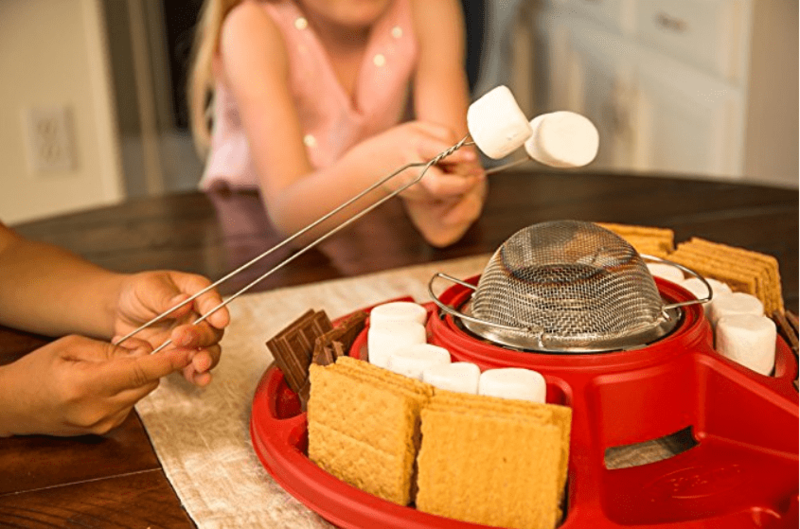 With this easy basket, you can have an amazing s’more experience even if you’re not camping! 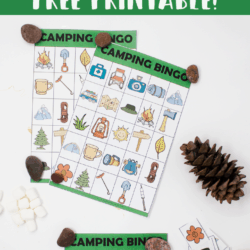 I love how many it makes at a time – perfect for a sleepover for the kids or just backyard camping! 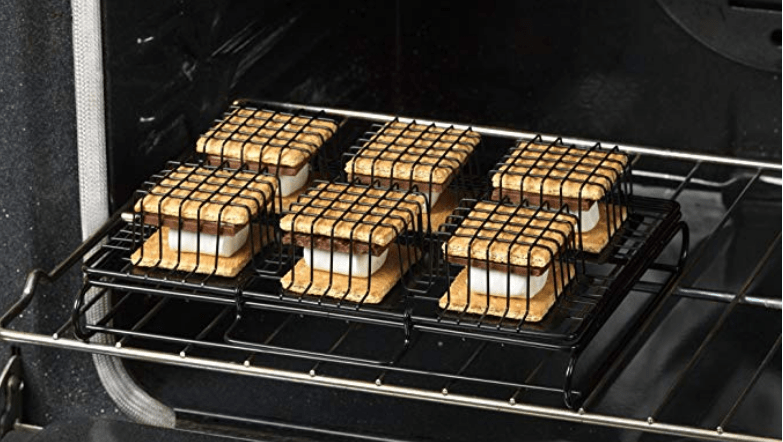 Make 6 s’mores in the oven at once with this handy baking device! If you don’t have an oven handy, this is another great option! I’m really considering buying this myself as we are camping in an area next month that doesn’t allow campfires… bummer! 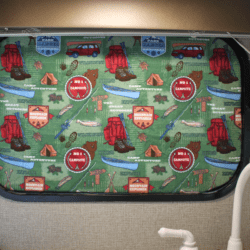 BUT, we do have a microwave in our camper so hopefully, our toddler’s dreams won’t completely be killed! This microwave s’more maker is so perfect for a quick snack without heating up the whole house, or for use in a camper or RV when you can’t have a fire! I didn’t even know this existed, but am pretty excited about it! Turns out, you can make some s’mores right in your office for a party or your kitchen table with friends with this! The center is a tiny little fire that roasts your marshmallow! The plastic is durable, and this kit comes with everything you will need to start cooking s’mores as soon as you get it! 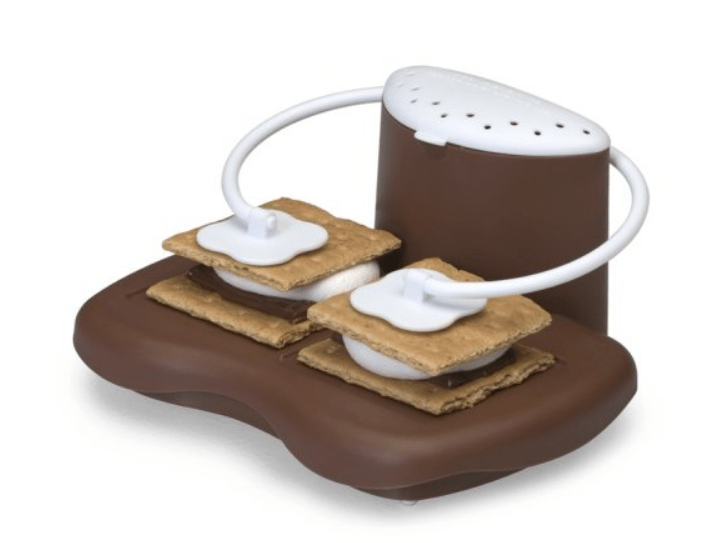 Probably the coolest s’more making device you’ve never heard of! These would make a perfect gift for a camping friend you know, or if you just want to get extra fancy! A s’mores carrying case! My stuff gets all jumbled up and half stale in our camper pantry. I would absolutely love to keep things from getting squished and stale with this! 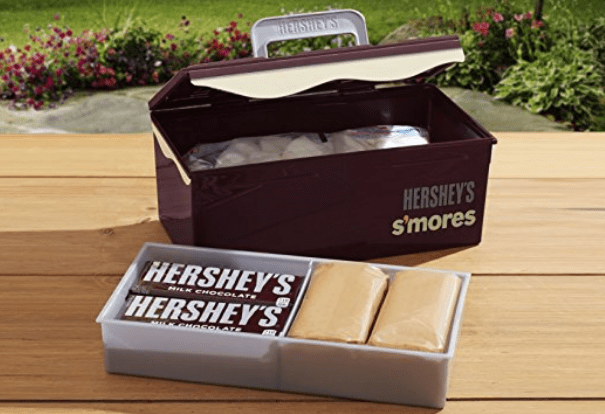 Keep all your s’more stuff organized, fresh, and easy to bring to parties with this case! I know my marshmallows end up going stale after awhile because I never close it good enough… I need this in my camping life! 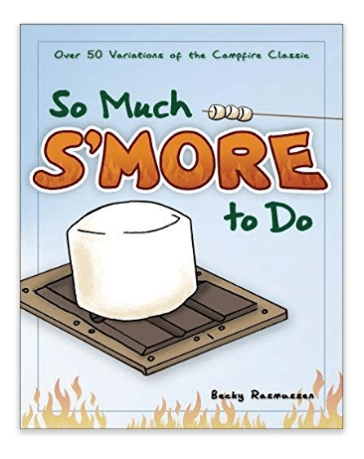 This s’more recipe book is perfect for the experienced camper who is tired of the same ol’ same ol! 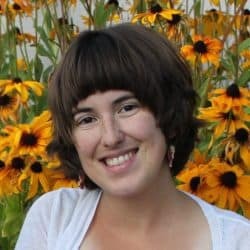 I’m not very fancy, but you might be! Create amazing memories around the fire and make some with your family and friends! Don’t forget to take pictures of those chocolate caked faces so you never forget the joy these simple delights can bring! My sweet guy enjoying a yummy s’more!